Madeira is known for a temperate climate, fine wines, and lush landscapes. This lovely location has many options to keep visitors happy and we'll have the excursions that will help you to make those memories that last a lifetime. Whether you are an adventurer, lover of culture and history, a history buff, or a gourmet connoisseur, Madeira is sure to have something for everyone. 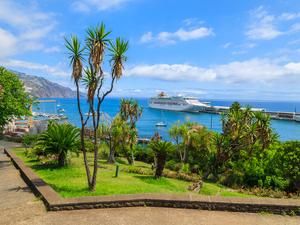 You will first arrive in Madeira via Funchal, the capital of the island for more than five centuries. The first settlers introduced grapes to the island back in the 1600s and Madeira wine became internationally famous, even earning a mention by Shakespeare himself. Round-trip route with on/off privileges in Funchal! Multilingual audio narration on the bus - available in 14 languages! 21 Stops at the must-see sites! Escape the cruise ship shore excursion crowds and enjoy unique sights of Funchal and surrounding area! 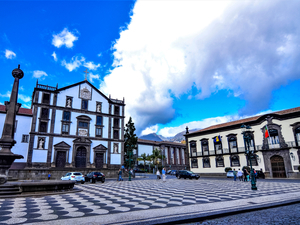 Be your own Funchal Excursion director with this easy to use bus system to all the must-see locations with scenic views and local information on the way. You choose how and where to spend you day! Round-trip transportation from your Funchal Cruise Pier! Visit Garajau, Águas Mansas, Portela, Santo da Serra, and Machico! Stroll along the market in Santo da Sierra! Spend a Sunday exploring the countryside and small villages of Madeira island! You will have the opportunity to see how the people of Madeira live in their small villages, each of which is isolated from the other due to the terrain! Visit Serra de Agua, Encumeada, Paul da Serra, Fanal, Porto Moniz, and Seixal! Take a relaxing walk along the man-made water channels in the forest! Taste the traditional cherry liquor, ginjas! From the brilliant blue cerulean waters to the lush vegetation, it is a paradise to behold from your 4x4 vehicle. Visit Serra de Agua, Encumeada, Paul da Serra, Fanal, Porto Moniz, and Seixal and more! Enchanted forest, terraces and the Northwest countryside! See the typical and genuine Madeira houses! 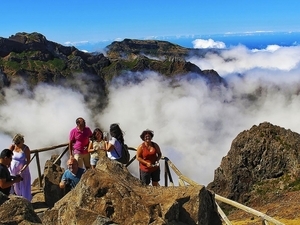 Visit Machico, Porto da Cruz, Santana, Ribeiro Frio, Poiso and Pico Areeiro! 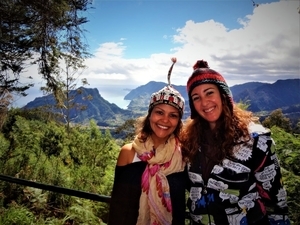 Get off the beaten path and explore the culture and landscape of the beautiful countryside of Madeira on this full day adventure! 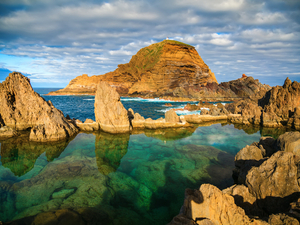 Visit Campanario, Ponta do Sol, Fonte do Bispo, Prazeres, Paul do Mar, and Calheta! Ride along the banana trees and sugar cane plantations landscapes! Prepare yourself for a full day Funchal Excursion along the beaten tracks and rural pathways of the southern coast of Madeira! Discover the true beauty of the island and along the way see the multitude of channels that brought lava to the surface to form this island! Visit Sao Vicente, Ponta Delgada, Boaventura, Sao Jorge, Santana, Porto da Cruz, and Canical! Hike the trail of the Laurissilva Forest! All of your senses will be heightened on this full-day journey through the countryside of Madeira! 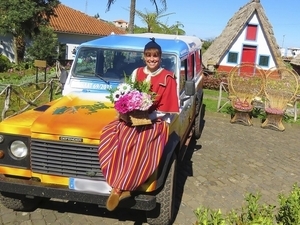 Travel and experience the flavors and scents of Northeast Maderia - Sao Vicente, Ponta Delgada, Boaventura, Sao Jorge, Santana, Porto da Cruz, and Canical and so much more in your guided 4x4 vehicle! Round trip transportation from your Funchal cruise pier! 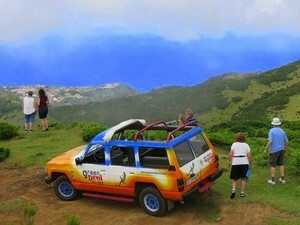 8-hours scenic ride in a classic Fiat Panda 4x4 vehicle! Manual Transmission Fiat 4x4 for up to 3 participants per car! Bilingual English/Portuguese speaking guide and driver! Complimentary lunch - Traditional Espetada! Photo stops along the route! Free Wi-Fi in the vehicle! You will see: Laurisilva in Santo de Sierra, Pico do Areeiro, Cristo Rei from the lookout of Garajau, Faja das Vacas, Portela, Santo Antonio da Serra and Poiso! 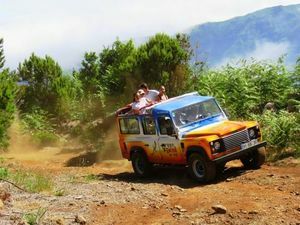 There is no better way to see the island of Madeira than through this private, fun off-road adventure. Your senses will be on overload as you wind your way through breath-taking passes amongst ancient trees and quaint little towns. If you have only one day on the island, this is the excursion for you! Round trip transportation from the cruise pier! 8-hours scenic ride on a vintage Fiat Panda 4x4 vehicle! Free Wi-Fi at the vehicle! Enjoy this full off-road adventure and explore the UNESCO forest of Laurissilva. Then you would enjoy a delicious Espetada and Poncha! Don't forget your camera, you will have a lot of opportunities to capture beautiful landscapes.